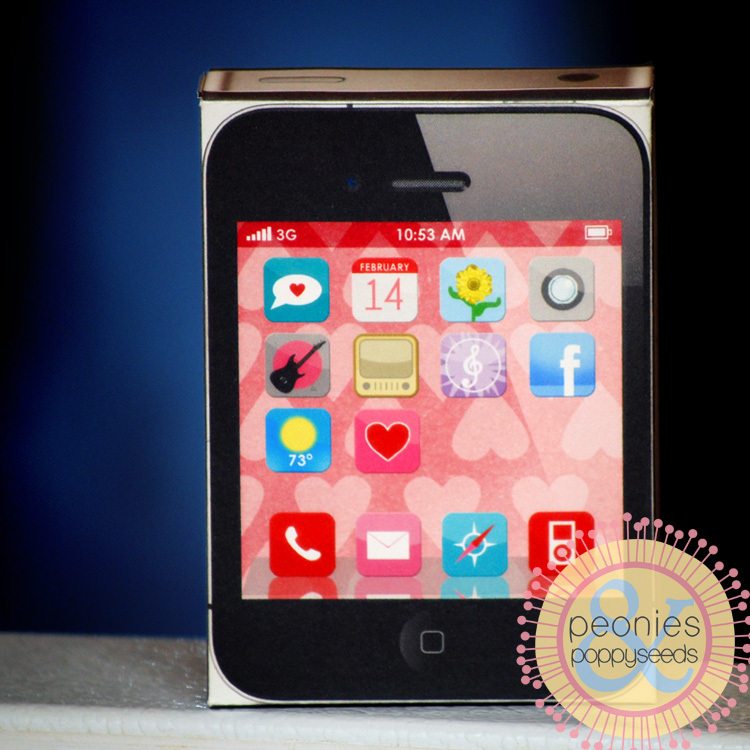 This printable covers a candy heart box perfectly and looks like a squatty little iphone. 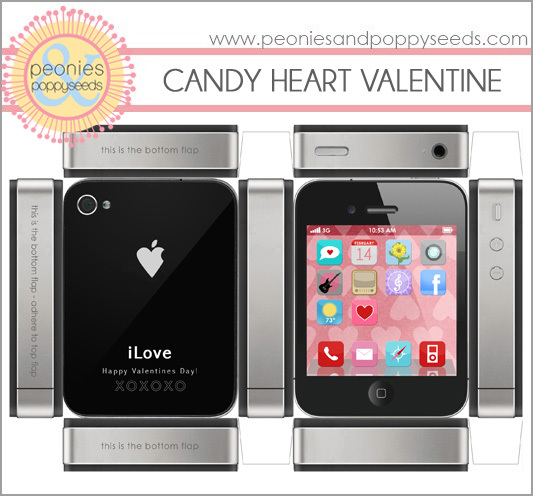 If you want to use this printable, make sure you get the candy heart boxes that are 3 1/2" tall. I used Wonka SweatTarts Hearts. I noticed that the Brach's hearts are in a different size box this year. 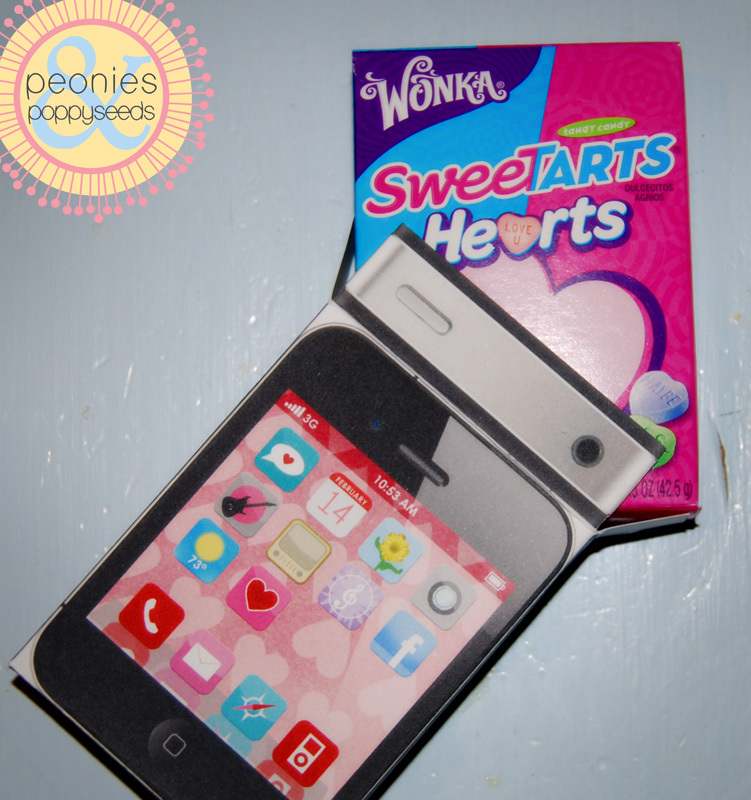 But I also noticed that you can get cheaper candy hearts in the right size of box at the dollar store.